These brownies are seriously gooey and delectable. 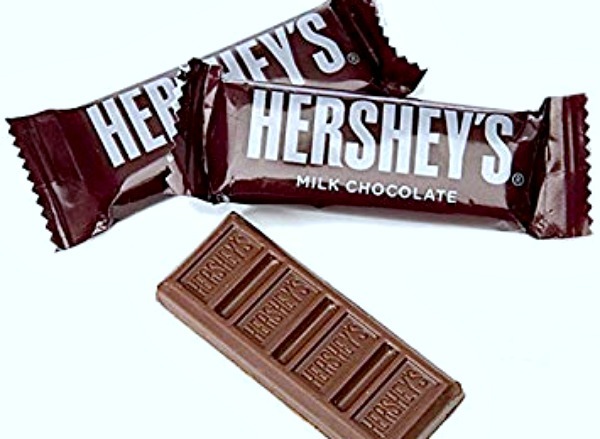 Everyone who loves Hershey Chocolates will love these. Enjoy! 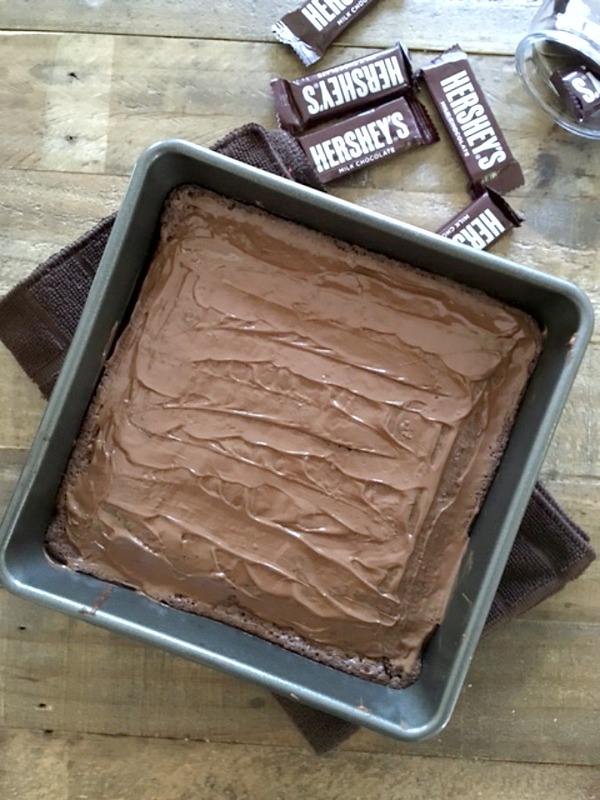 This is a simple recipe is so deep, dark and chocolaty using different kinds of Hershey’s chocolates inside and on top for the best and easiest frosting ever. Believe it or not, these brownies are lower in fat and calories than a typical brownie. But, you will never know it and neither will anyone else that you serve them to. Bake a batch today and taste for yourself. These brownies are so yummy! Spray an 8 x 8 pan with cooking spray, set aside. In a large bowl whisk together the flour, cocoa powder, baking powder and salt. Add in the cooled chocolate/butter mixture. Whisk in the sugar with the eggs along with the sour cream. After this is all mixed up add the chocolate syrup. Pour into prepared pan and spread out to the edges of the pan. Make sure it’s even all around. Bake about 18-23 minutes. A toothpick should come out with moist crumbs. Try not to over bake. Check after 18 minutes. 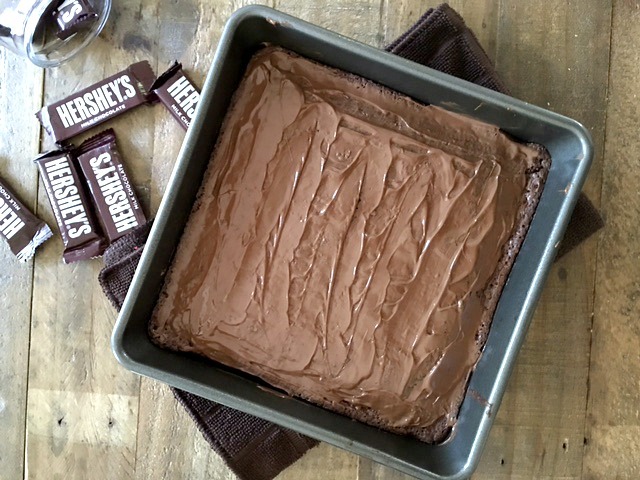 Place on cooling rack, open up snack bars and place right on hot brownies, with an offset spatula or butter knife, smooth chocolate evenly to frost the brownies. Let cool completely on rack. When cooled, cut into squares. Can be stored on counter for up to 2 days or in fridge up to 5 days.